We are offering Wet Wipes to our client. With rich industry experience & knowledge, we have been able to provide the best array of Water Based Wet Wipes. 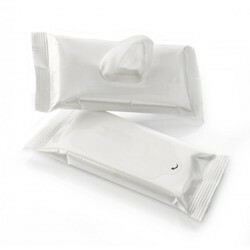 We are one of the leading traders and exporters of EASY BATH WET WIPES. Clarus Wet Wipes are made of a moistened piece of quality paper, scented with water, which comes as dispensing mechanisms for removing grease and pollution to keep you fresh and cool. It is Soft & Absorbent. Available in: Cologne, Sandal and Lime. Spunlace non-woven fabric, extra gentle for mouth and face cleaning. 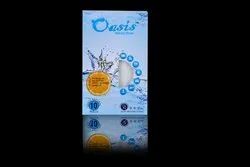 Pure water and 100% food grade ingredients, especially suitable for cleaning sensitive skin around mouth and eyes. PH balance, suitable for daily use on any type of skin.